Fort William in the Highland is home to the 24 hour Mountain Bike Race. 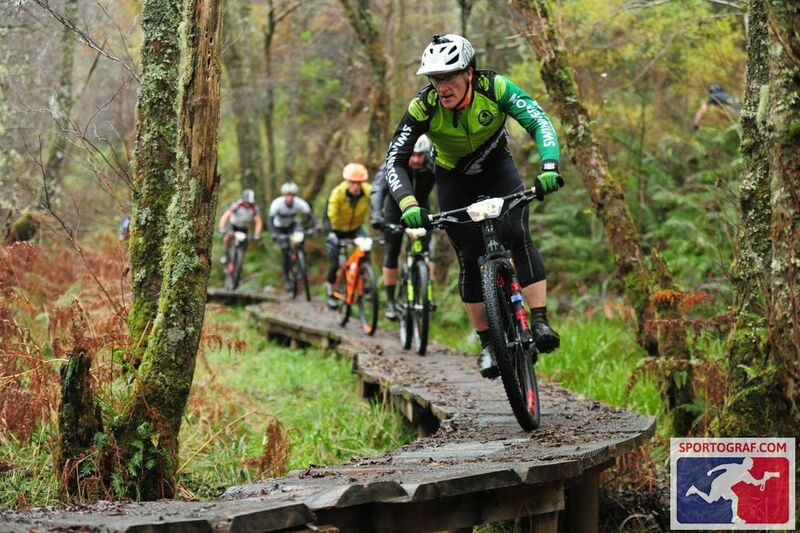 This event is not just for individuals but also for teams and takes riders through Leanachan Forest and Nevis Range in the Lochaber area. Lochaber is known as the Outdoor Capital of the United Kingdom. The 24 hour event takes place in October and so the night is long. This is an event for the serious mountain biker as contestants are seriously tested. The winner will be the rider who covers the most laps in the 24 hours of the race. The mountain bike tracks over which the event takes place are well worn and the autumn weather is usually stable; but daylight hours are shorter and the winter is approaching. The landscape is dressed in magnificent autumnal colours which offer pleasant contrast to the harsh rigours of the endurance race. Participants enjoy the opportunity to meet and socialise with other mountain bikers and Fort William is of course very near the track. Fort William is a busy town with enough facilities to cater for everyone. Restaurants, bars and nightlife are there, together with specialist stores for the cyclist. 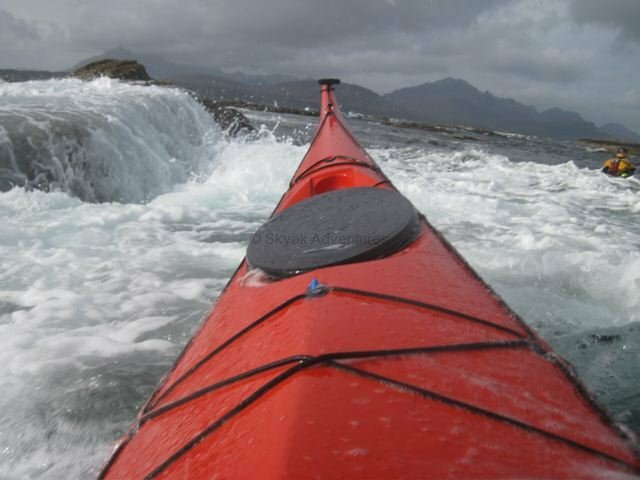 For those who like to take to the water for adventure, kayaking off the Isle of Skye offers a unique experience. Skye, off the West coast of Scotland, has a dramatic, rugged landscape featuring the Cuillin Mountains, medieval castles and fishing villages. The coast of Skye is characterised by a multitude of lochs and peninsulas, inlets and bays. There are also small islands to be explored. All of this offers the potential for days of adventurous holidaying, exploring the rugged coastline and features by kayak. The Isle of Skye is joined to the North West Scottish coast by bridge and the town of Portree, the largest on the island, makes an excellent central point from which to explore. The 50 mile long island takes its name from the Norse Sky-a, which means cloud island. This was a reference to the Cuillin Mountains which are often enshrouded in mist, adding further drama to the coastline and scenery. Skye’s natural features make it a superb place for any who wish to kayak or canoe, offering challenges and experiences for both the beginner and experienced alike. Ben Nevis is the highest mountain in the British Isles with a peak altitude of 1,346 metres. The mountain is located behind the town of Fort William in Scotland and is home to many rare plants and wild animals and the views from the higher elevations are of course spectacular. Those in reasonable physical (that is all that is normally required) condition can take a guided walk to the peak of Ben Nevis. This is a more relaxed and less demanding ascent than traditional mountain climbing and rewards the participant with unique views and many delights of nature. Those who reach the summit will also enjoy the sense of achievement that comes from walking up Ben Nevis. As well as being located near Ben Nevis and the adjoining mountains and Hills, Fort William is near a major ski resort. The Nevis Range resort offers a variety of runs covering green, blue red and black classifications. The resort features 12 lifts and Scotland’s only mountain gondola and ascent to the top of the runs is quick. There is extensive off-piste skiing and a wide variety of facilities. 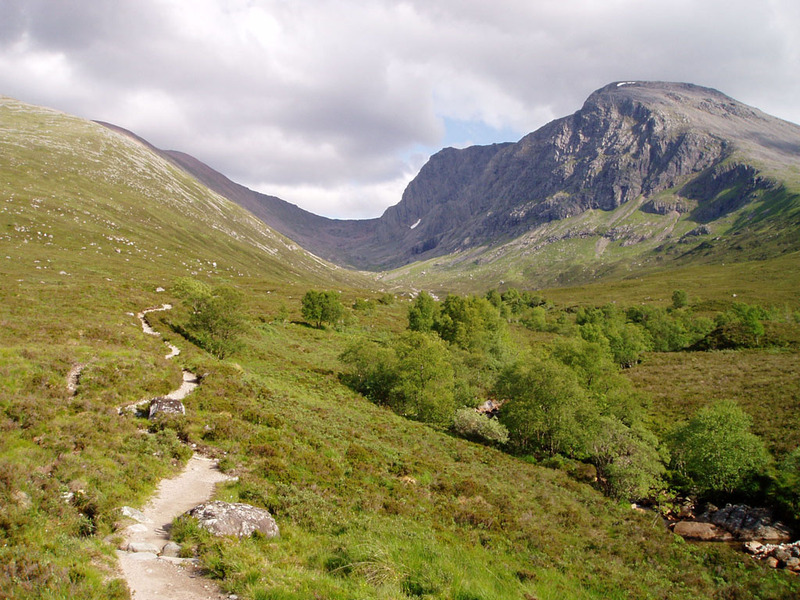 Runs are located on the mountain Aonach Mor, very close to Ben Nevis. Set in some of the most dramatic scenery that Scotland has to offer, Fort William has a variety of hotels, guest houses and bed and breakfast accommodation making it welcoming to the individual, family or group. All of the experiences associated with a skiing holiday abroad are available in the area around Fort William. Loch Torridon lies in the North West Highlands of Scotland and is home to a variety of outdoor activity pursuits as well as some of the most dramatic scenery Scotland has to offer. The Loch lends itself perfectly to kayaking where the views from the water are breathtaking, and participants can see otters and enjoy the company of seals who often swim along with kayakers. Adventure packages combining several different activities are readily available at Torredon, including gorge scrambling. Wet suited participants can wade through pools and step through waterfalls in a dramatic water filled landscape of unique and rare beauty. Rock climbing is also on the menu given the dramatic rugged nature of the area. Combining several activities during a stay in Torredon will offer the visitor a fully packed and varied experience to remember. The facilities are many and cater for those of all ages. Argyll is in the West of Scotland from the Coll and Tiree Isles to Campbeltown in the mainland. The combination of Isles, stunning coastal resorts and mountains, lakes and green hills makes Argyll a perfect host to many outdoor activities such as Quad Biking. Charging up and down hillside and mountain tracks on a quad bike against stunning scenery is a unique experience. For a sense of historical adventure visitors can sign up for fencing lessons amidst the thrilling landscape. Wall climbing is another activity offered in the area, and there are indoor wall climbing facilities to cater for all. Going on a Land Rover Safari is a way to study Argyll’s wildlife, including the red deer and golden eagle. Safari also offers the opportunity to get to know some of Argyll’s ancient past and farming activities and to enjoy the dramatic landscape that evokes such characters as Rob Roy. John writes for Sunway Holidays and loves his job as he gets to visit many great places and write about them.